*WASHINGTON, DC – It’s somewhat fitting that this week’s NERW comes to you from our nation’s capital, since our lead story is once again about the woes of Cumulus and our route into town last night took us right past the blinking lights of what will soon be an ex-Cumulus site, the incredibly valuable land under the towers of WMAL (630). A little over a month past the ouster of the Dickey brothers, it appears Wall Street is again running short on patience with the troubled broadcaster’s attempt to right its leaky financial boat. The share of CMLS that dipped below a dollar during the Radio Show in Atlanta at the end of September traded at just 29 cents when the market closed on Friday, leading NASDAQ to slap a delisting notice on the stock if CEO Mary Berner can’t bring it back. And at least judging by the investor call late last week, she’s running out of options. That $200 million cash infusion from selling the land out under WMAL and Los Angeles’ KABC? Berner says that’s delayed for various regulatory reasons and unlikely to close before the middle of next year at the earliest. The digital future? While competitors such as iHeart are ramping up new digital platforms, Cumulus’ quarterly filing shows that it’s written the value of its investment in Rdio and other digital ventures down to zero. Also written down to zero is any goodwill in Westwood One, another stumble in what’s been a very challenging attempt to merge Westwood with Cumulus’ legacy network assets. Over at RadioInsight, Lance has written two good pieces (here and here) offering some ideas to save what’s left of Cumulus. To those, we’d add our ongoing observation about the way that the Dickeys’ various broadcast acquisitions still maintain some degree of differentiation: it’s the former ABC/Citadel properties that have been dragging Cumulus down, even as other pieces have stayed more solid. The former Susquehanna stations in medium markets? There’s plenty there to salvage, and even at the original small- and medium-market Cumulus stations. All of which may explain why “Chapter 7” is on the holiday wish list for some of our acquaintances: if Berner does end up turning to bankruptcy, which is as yet far from certain, a Chapter 7 liquidation proceeding would allow stronger operators to take over some of the Cumulus broadcast properties that still have life left in them. Imagine former Citadel leader Larry Wilson swooping in with his newer Alpha Group, for instance, and righting the ship at some of Cumulus’ medium-market properties. It’s not too late – yet – but Berner has a difficult task ahead of her. It’s one we’ll be watching closely, especially as we hope for the best possible outcome for our friends and readers who are either still suffering with Cumulus or figuring out their future after getting out from under the cloud. Remember when talk radio ruled the roost? If you needed any further evidence for the decline and fall of the format beyond the takedown that former Clear Channel talk honcho Darryl Parks delivered a few weeks back, you’ll find a textbook case for talk’s near-irrelevance along the banks of the Charles River in MASSACHUSETTS. Once upon a time, WRKO (680) set the tone for political dialogue in greater Boston. Back in 1986, “THE Talk Station” was such a potent political force on Beacon Hill that it very famously drove a referendum repealing the state’s seat-belt law to success, led by the dean of talk in town, the late Jerry Williams. So there’s a tremendous irony in the good news that Williams’ successor in the WRKO afternoon slot, Howie Carr, had his belt on when he flipped his car on the Mass Pike on election day last Tuesday. But the fact that Carr walked out of Mass General a few hours later with just some bruises may well be the only good news to be found in Carr’s world, or in WRKO’s, at the moment. As we’ve been noting for some time now, Carr’s contract with WRKO has finally come to the end of its most recent extension, leaving him free at long last to…well, that’s the problem, isn’t it? Unlike the last few times Carr has flirted with a break from the station that launched his radio career way back in 1994, the landscape into which a newly-independent Carr now drives is remarkably barren. It’s been almost two years since Greater Media pulled the plug on its FM talker, WTKK (96.9), arguably the result of its inability to extricate Carr from what proved to be an iron-clad WRKO contract. The only commercial spoken-word stations now on the Boston FM dial are talking sports, not politics – and both WRKO’s Entercom clustermate WEEI-FM (93.7) and CBS Radio’s competitor, WBZ-FM (98.5) now draw far more revenue, profit and attention than WRKO has pulled in for years. There are, in short, no real winners to be found in the next chapter of Mr. Carr vs. Entercom. After a few days of recuperation, Carr is set to launch his new syndicated show today, via Global Media Services, but it doesn’t appear the show will be carried by WRKO. Without WRKO, even in its present diminished form, Carr loses much of his ability to reach a Boston audience. Sure, there’s streaming (and we’d be more than a little surprised if he doesn’t at least appear on his other employer’s BostonHeraldRadio.com pretty quickly), and there’s rimshot coverage from his Worcester affiliate, WCRN (830), and even the potential of buying time on a third-rate signal such as WUFC (1510). But as much as Carr belittled WRKO’s signal over the years, it’s the only game in town for AM talk in New England’s biggest market, and Carr’s voice won’t be heard very well without it. *The week’s other big story came from eastern PENNSYLVANIA, where Radio One’s surprise Philadelphia-market format change on Thursday may be just the first chapter in a bigger story. 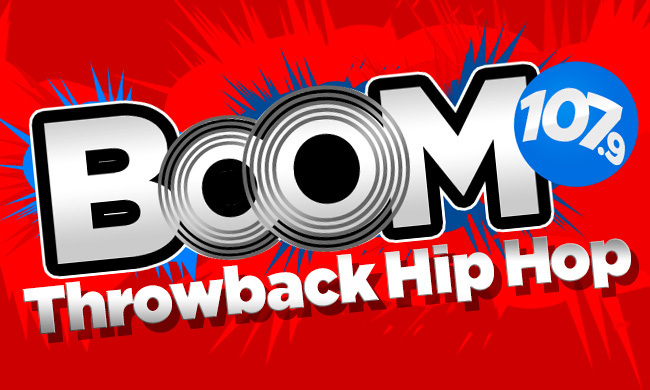 This is Radio One’s second “Boom,” hot on the heels of its Houston launch at KROI (92.1) when that noble attempt at all-news collapsed earlier this fall – and RadioInsight has been one of the few places to note that “Boom” isn’t Radio One’s trademark in the US. The rights to that name belong to CBS Radio, and Radio One is reportedly licensing them for use in both Houston and Philadelphia. *Aside from Howie Carr, the week’s big news from MASSACHUSETTS came on Monday with the news that Tom Magliozzi, half of the Car Talk team of “Click and Clack,” had died of complications of Alzheimer’s disease, at age 77. Magliozzi and his brother Ray were just a couple of guys running a garage in Cambridge back in the 1970s, when WBUR (90.9) needed hosts for its unassuming little weekend advice show, and you don’t need us to tell you what an institution they built, first locally and then nationally. NPR offered up a special memorial “Car Talk” show over the weekend, and they’ll continue to offer “Best of Car Talk” installments (as they’ve been doing since the Magliozzis semi-retired back in 2012) for as long as public radio stations want to keep carrying the show. *Ask any radio station broker how the last few years have gone, and amidst the tales of declining station values and elusive financing, you’ll hear one consistent bright spot: while many of the buyers who fueled the explosive run-up in station values in the late nineties and early aughts vanished from the scene when the economy turned soft, one station group has emerged as a major buyer of stations in big markets: California-based EMF Broadcasting. The operator of the nationwide “K-Love” and “Air 1” networks, programming contemporary Christian and Christian rock music, has spent millions of dollars over the last decade expanding its reach from coast to coast, buying existing commercial and noncommercial FM stations, applying for new noncommercial FM signals and using new technologies such as FM translator networks and “Franken-FM” channel 6 LPTV signals to bring its programming to medium and large markets. But amidst K-Love’s expansion, one market has been conspicuously missing until now: New York City. On Friday, EMF took the first step toward changing that, announcing the purchase of Cox’s WCTZ (96.7 Port Chester NY), a move that came amidst some even bigger transitions for Cox’s cluster of stations along the CONNECTICUT coast. Cox has spent the last five years working on migrating that 96.7 signal from its longtime home in Stamford to the edges of the nation’s largest radio market, NEW YORK; as regular NERW readers know, it’s one of three suburban FM signals that are all in the process of edging closer to the big city. Whitney Radio’s WVIP (93.5 New Rochelle) signed on its new Bronx transmitter site earlier this year, and Cumulus has tested the new Bronx-based signal of its WFAS-FM (103.9 Bronxville) from the same location as WVIP. While the O’Shaughnessy family has turned down repeated offers to buy its stations, there’s been little doubt that the intent of both the WFAS-FM and WCTZ moves was to increase the stations’ value so they could be sold. EMF had reportedly been in talks with both companies before striking a deal with Cox. There’s no word yet on how much EMF is paying for WCTZ, but we do know that unlike most EMF deals, this one doesn’t include an LMA prior to closing. That may have something to do with WCTZ’s as-yet-uncompleted move: while the station changed city of license from Stamford to Port Chester back in late 2007, the 96.7 transmitter site hasn’t moved yet. Over the last few years, Cox has applied for several possible new 96.7 sites closer to Manhattan: one potential site was on Long Island’s north shore, and the current construction permit for a 96.7 move would have the station operating from a diocesan radio tower in Yonkers. But it doesn’t appear that EMF will be using that site, either: instead, they’ll wait for the FCC to grant another Cox application to move 96.7 to the top of the Trump Plaza development in New Rochelle. *Back on the New York side of the state line, 96.7 wasn’t the only suburban FM frequency making news late last week. As had been widely rumored, Friday afternoon at 5 brought a new format to Barnstable’s WIGX (94.3 Smithtown, ex-WMJC). Earlier in the week, WMJC parted ways with most of its airstaff, including morning man Phathead and middayer Malibu Sue, and the launch of 90s-pop “94-X, Long Island’s Hit Music for Generation X,” was jockless. Veteran programmer Joel Salkowitz is consulting the new format with PD Jon Daniels, who stays on board. *Longtime readers of this column know that we’ve always been staunch supporters of good small-town radio and good small-town radio people, and our region lost one of the best on Tuesday night with the untimely death of Guy Patrick Garraghan, the founding general manager and morning voice of WRIP (97.9 Windham). On Wednesday, WRIP opened its doors and its airwaves to Garraghan’s friends, family and listeners for a remembrance of his life, and when the day-long special programming ended that evening, WRIP signed off for the night in Guy’s memory. Across the state, adult hits came to Pittsburgh Tuesday when Steel City Media dumped the lagging classic rock format on WRRK (96.9 Braddock) in favor of “96.9 Bob FM.” The station is running jockless for now – even in mornings, previously occupied by the syndicated Bob & Tom show. It’s technically a NEW JERSEY story, but the move of WTTM (1680 Princeton) to its new home in Lindenwold, which was being completed over the weekend, is really all about Philadelphia and its radio listeners. WTTM spent much of last week playing country music from its old tower site near Pennington, N.J. (lovingly automated by chief engineer Neal Newman) while getting the new Lindenwold facility ready to go on the air. NERW hears that Multicultural Broadcasting will begin running Spanish-language programming on WTTM once the move is finished. And speaking of Pennington, some sad news to report: that’s where Julian Breen lived, and we were as stunned as everyone else in the business at the news of Breen’s death last week. Breen was the APD/MD at WABC during some of its most successful years, from 1968-1971. From there, he became PD at KYA in San Francisco before returning to the East Coast to become vice president of Greater Media. He’s credited with creating the “Magic” format at WMGK (102.9 Philadelphia) and WMGQ (98.3 New Brunswick). More recently, Breen was one of the go-to guys for ratings analysis, through his Supertrends (later Breen Broadcast) consultancy. Julian Breen died Oct. 29 of pancreatic cancer; he was just 63. Big changes at CONNECTICUT’s WEZN (99.9 Bridgeport) – “Star 99.9” morning man John Harper was abruptly ousted from his wakeup slot last week, after more than a decade at the station. His replacement is former WVIT/WTIC-TV sportscaster Tony Terzi, son of Hartford TV veteran Al Terzi. Terzi joins newscaster Marit Price (who just joined Star in July) and traffic reporter Tommy Edison. Meanwhile, Star has officially hired former WQSX (“Star 93.7”) jock Mike McGowan for afternoons; McGowan has a long history in Connecticut, albeit in the Hartford market, and he’d been doing the afternoon slot on WEZN on an interim basis. For years now, one of the parlor games most often played by MASSACHUSETTS radio buffs has been “What will it take for Bernardine Nash to sell WILD?” This week, we have an answer — and it’s no great surprise. Ever since her husband’s death a few years back, rumors have run rampant about Nash’s plans for the urban AM “little daytimer that could.” Would she negotiate a move to a full-time frequency, or to FM? Would she sell, and if so, to whom? This spring, Nash began answering those questions when she LMA’d the station to Radio One, one of the country’s fastest-growing urban groups (NERW, 5/19/2000). The move put WILD (1090) under the same roof as new competitor WBOT (97.7 Brockton). And now Nash has agreed to sell WILD outright to Radio One. The $5 million deal puts Nash in charge of the Radio One Boston group, and makes WILD the 51st station nationwide for the company. The big news from NEW YORK this week was, of course, the waning days of the nation’s most-watched Senate race. The big radio news, though, was taking place in the Hudson Valley, as the stations Clear Channel is spinning off to Concord Media take on their new formats. On the AM side, WHUC (1230 Hudson) broke from the talk format shared with Kingston’s WGHQ (920) and Poughkeepsie’s WKIP (1450) to go standards, though not with the same satellite service as sister station WCKL (560 Catskill). Could that mean changes on the way at WCKL? On the FM dial, WCTW (98.5 Catskill), aka “The Cat,” returns to the Westwood One “Bright AC” satellite format it had been using until February, when the station went mostly live and local with hot AC. The other half of “the Cat,” WCTJ (96.1 Poughkeepsie), keeps the hot AC, albeit with automation and voicetracks instead of live jocks. And WTHK (93.5 Hudson) dumps “Thunder Country” for Westwood One’s oldies as “Cruisin’ 93-5,” with Bill Williams from WRNQ (92.1 Poughkeepsie) serving as PD and Ken Gonyea doing mornings. Again, “Thunder Country” lives, for now, on WTHN (99.3 Ellenville) to the south. A Syracuse television icon will retire in a little less than a month. Ron Curtis started at WHEN radio (620) back when its sister TV station was still on channel 8. That was in 1959, and seven years later he became the anchor on WHEN-TV, today’s WTVH (Channel 5). In recent years, Curtis has anchored WTVH’s noon and 11 PM shows. His final appearance on channel 5 will be December 1. There’s an even more interesting question about the G&E Studio saga. James Su appears to be the majority owner of the company that owns KDYL South Salt Lake UT. That could be a bigger problem.